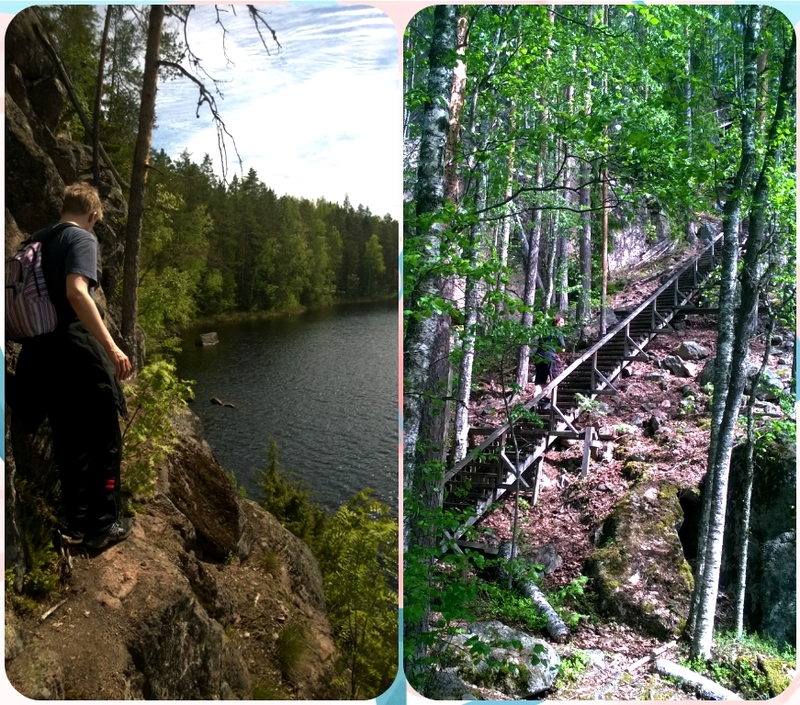 I’m impressed by the Finnish nature. I love walking there, visiting different places and watching the sceneries. 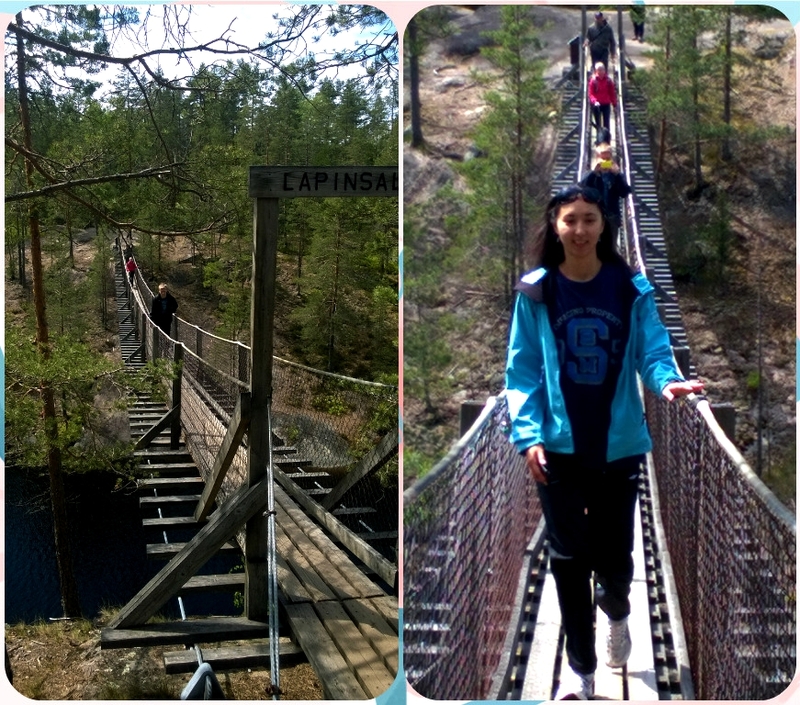 So far I have visited three Finnish national parks and I have a plan to explore more in summer. 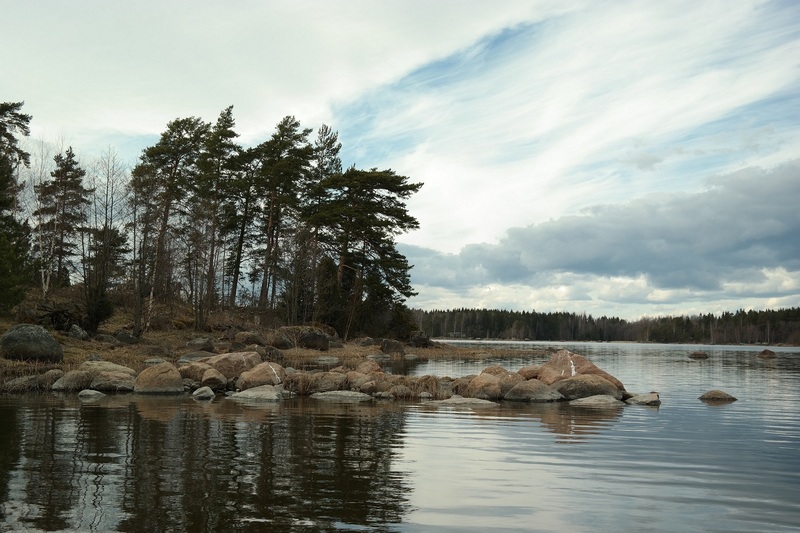 I like that in Finland you can go for a walk outside whenever you feel like it, and magnificent natural attractions are nearby anywhere you live. In winter it’s popular to ski and there are plenty of skiing trails across the country and the forests. 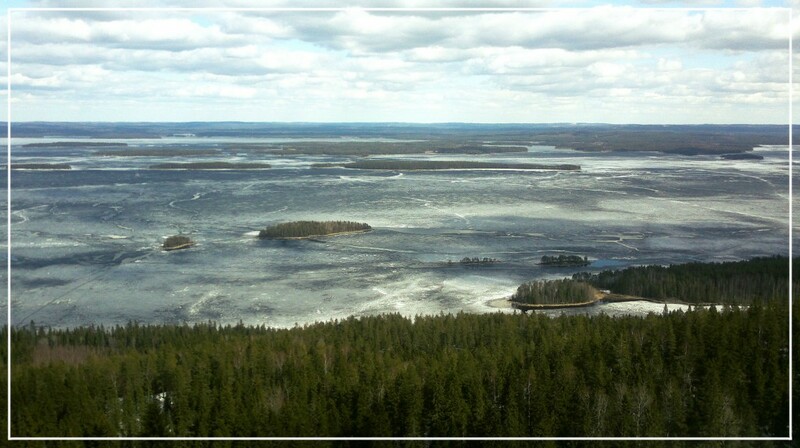 The Lake Pielinen from the top of Ukko-Koli hill. Koli is a national park near the city of Joensuu in the North Karelia region of Finland. It has a nature center where you can get a lot of useful information. I visited Koli in April last year and the lake Pielinen was still frozen. It has several hiking trails leading to hills from which you can observe unbelievable sights of nature. 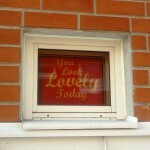 At the time of my visit I had just come back to Finland from our family trip to Norway. 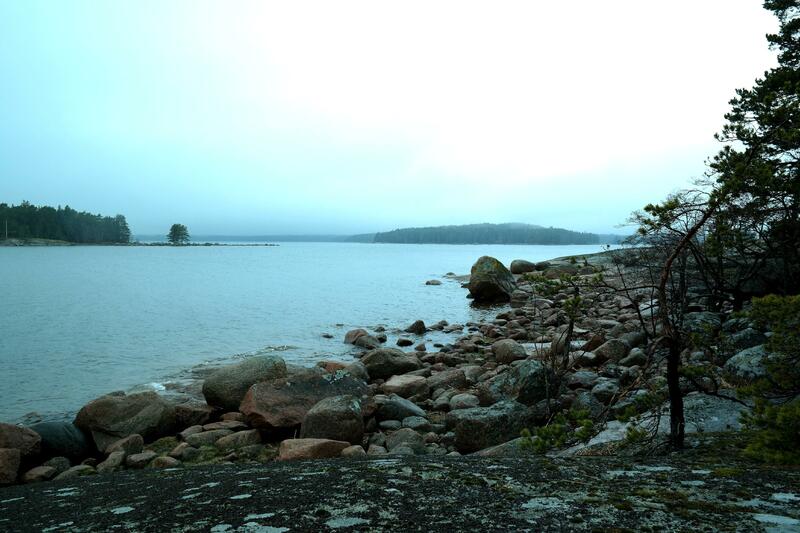 Koli reminded me of beautiful sceneries from the rock Prankenstolen, Norway’s natural attraction with fjords. 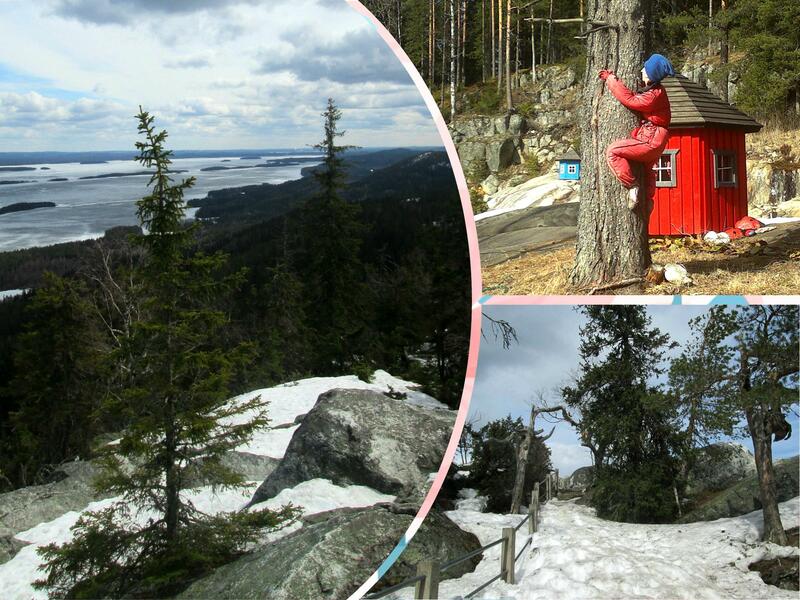 The length to reach the top of the Ukko-Koli hill is much shorter than in Prankenstolen, but the view is amazing. It was also quite windy, slippery and dangerous on the top but it’s an exciting opportunity to observe the Northern beauty. Repovesi is located in regional center Kouvola in South-East Finland. 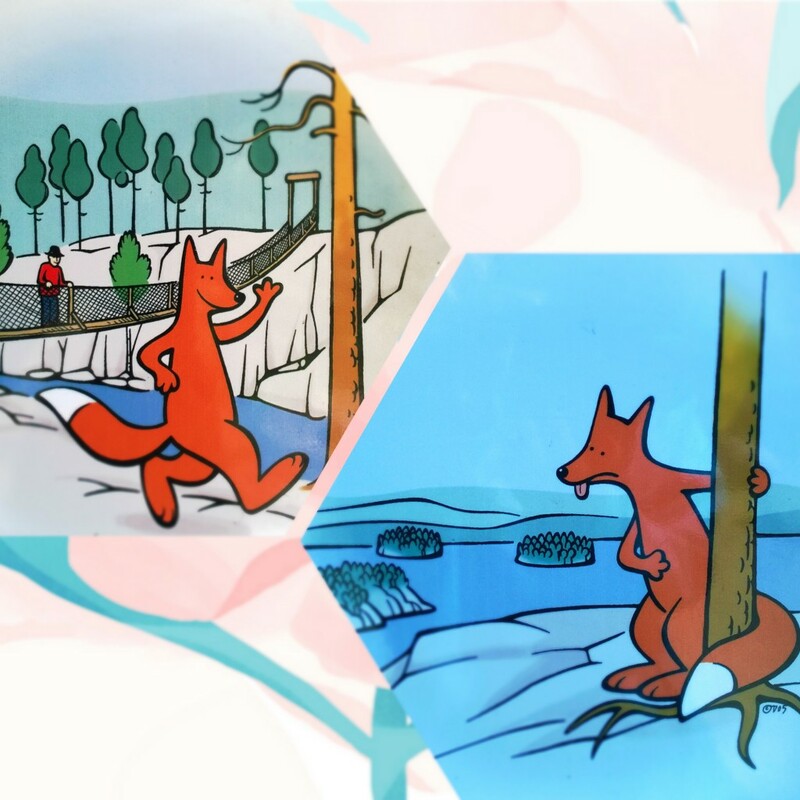 It’s an adventurous place to visit in the summer, as it has plenty of hiking trails like the one called Fox’s Round (Ketunlenkki) with a suspension bridge and a ferry. I visited this place many times and it’s one of my favorites. It has several forested islands and rare summer cottages. 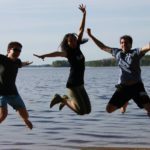 We spent time to cross a forest without trails on an island, fishing and taking a boat trip around (by the way, in Finland you need to purchase a license for fishing and a permission to fish, it costs 39 euro/year). This place has especially fascinating clouds, salty-sea air and a sense of deep freedom. 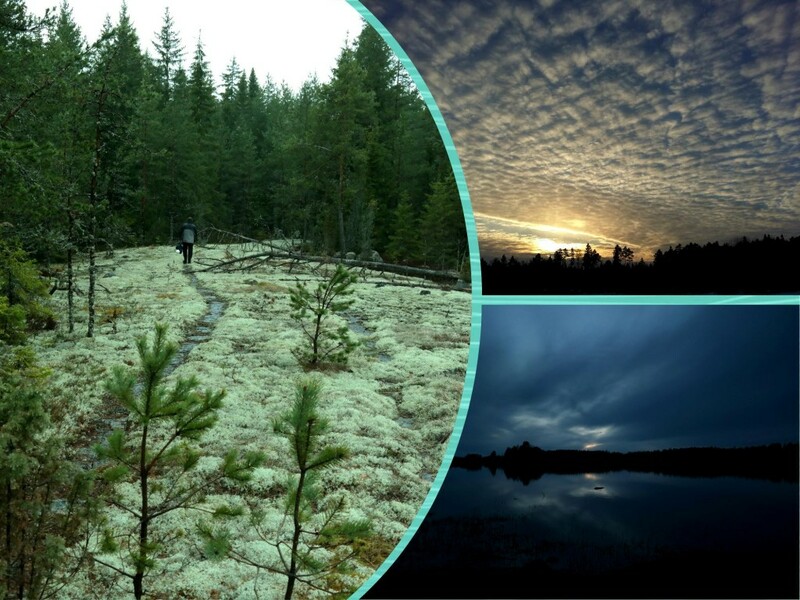 There are also fascinating Finnish parks on Instagram.